Edward Frankland was born on January 18, 1825 at Churchdown, near Garstang in Lancashire the illegitimate son of a prosperous lawer. A percocious learner, he knew his letters by age 2 and at age 3 he was sent to a Dame's school in Manchester, where his mother was staying. He wrote of his devotion to the master, James Willasey, who he later assisted after the school closed and was left in poverty. From Dr. Willasey he learned to speak French without an accent and became interested in physical science. The last school he attended was Lancashire Grammar School where he learned Latin, which he hated. At age fifteen he was apprenticed to a druggist. Frankland in his writings speaks of the six years of his apprenticeship as wasted time, calling it, "six years' continuous hard labor, from which I derived no advantage whatever, except the facility of tying up parcels neatly." Despite his complaints, he was able to make use of what little free time he had and borrow apparatus from his master to perform some basic experiments with the other apprentices. In 1845, at the termination of his apprenticeship, Frankland traveled to London, where he was able to gain a position in the laboratory of Dr. Lyon Playfair, who had just been made the chemist to the Government Department of Woods and Forests. Although Dr. Playfair was often absent on official duties, Frankland made friends with his chief assistant, Mr. Ransom, who introduced him to the world of chemical analysis. So rapid was his progress that after six months he was offered the position as Playfair's lecture assistant. In 1847 he went to Marburg, Germany, where he briefly worked in the laboratory of Robert Bunsen. But soon had to return to England, where he had a teaching position at the new Queenwood College in Hampshire. The position required him to lecture not only in chemistry but also botany and geology in addition to setting up the school's laboratory. At his new post he also had the opportunity to meet John Tyndal, who later would become a physics professor at the Royal Institution. During this time the two would rise early and while Frankland would study mathematics under Tyndal's direction, Frankland taught Tyndal chemistry. In 1848 both Frankland and Tyndal traveled to Marburg, where Frankland continued his research and finished his Ph.D. His work on organometalic compounds laid the basis for his discovery of chemical valence. The compounds he was working with, zinc dialkyls, only combined in certain whole number ratios, an idea that Lavosier had found when working with the break down of water. This led Frankland to realize what he called atomicity, that we now call valence, that "the combining power of the attracting element is always satisfied by the same number of atoms." For twenty years he conducted research, from 1848 to 1868, into the nature of the combining capacity or valency of various elements. The idea of valency is that the various elements all have a fixed number of bonds that they can form. For example hydrogen will always form only one bond, oxygen two, nitrogen three and carbon four. Frankland's legacy is this idea that elements will form a fixed number of chemical bonds, an idea that was slow in being accepted, but now is the basis of structural chemistry. In 1865 he was appointed professor of the Royal School of Mines at South Kensington and the Royal College of Chemistry. 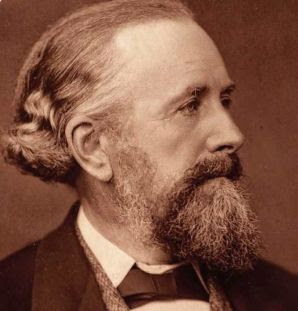 Frankland was knighted in 1897, on the occasion of Queen Victoria's jubilee, for his thirty years of analyzing the pollution in municipal water supplies, a position he was appointed to in 1868. He died two years later on August 9, 1899.